Letter to H.E. Mr. TRAN DAI QUANG, President of the Socialist Republic of Vietnam. Letter to H.E. Mr. ANDREJ KISKA, President of the Slovak Republic. 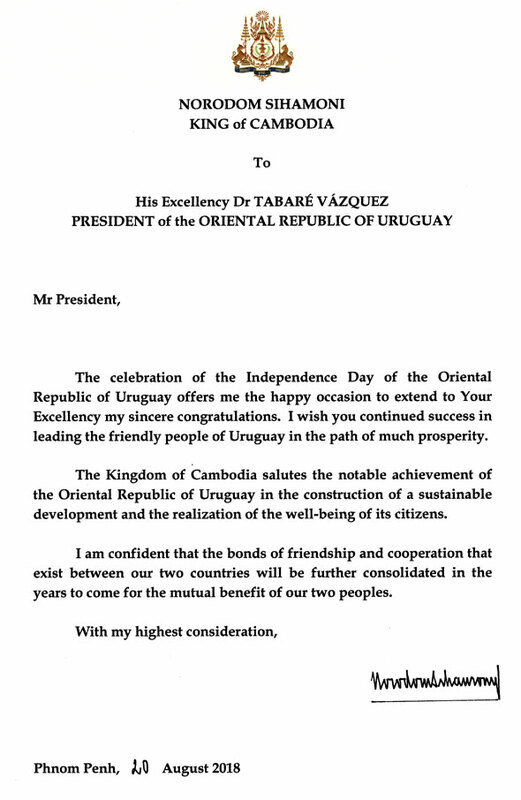 Letter to H.E Dr. TABARÉ VÁZQUERY, President of the ORIENTAL Republic of Uruguay. Letter to H.E. Mr. JOKO WIDODO President of the Republic of Indonesia. Letter to H. E. Mrs. HALIMAH YACOB, President of the Republic of Singapore.